Begging government to ban vaping makes as much sense as begging government to ban car brakes. No, vaping isn’t totally safe. It’s safer than smoking. Your car having brakes won’t make driving totally safe. But it’s still safer than driving without brakes. Banning, or heavily regulating, either one is going backward. Kind of like banning (or heavily regulating) suppressors. That doesn’t mean I want government to mandate vaping as an alternative to smoking– it should be a personal choice. You do your life, I’ll do mine. As a tangent– I’m always shocked at the amount of dishonesty involved in trying to fool people into joining the prohibitionists (or any statist cause, for that matter). 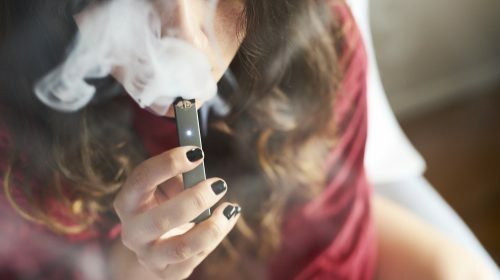 I saw a “public service” [sic] ad against the JUUL vapers recently, where the woman was horrified that the JUUL “contains as much nicotine as 20 cigarettes!” What is this, standard-capacity magazine hysteria aimed at a different tool? I’m supposing you don’t get all the nicotine the device contains in one inhalation. Even if you did get all the nicotine in one sitting, wouldn’t it be just like chainsmoking 20 cigarettes? I’ve seen smokers do that (OK, I didn’t count, but you know what I mean). How many cigarettes come in a pack? 20 or 25? Are you going to shove them all in your mouth at once and smoke them together? I guess you could, but I don’t think there’s a way to get the entire contents of nicotine from a JUUL in the amount of time it would take to smoke one cigarette– unless you broke it open or something. But it sounds scarier to lie. Scared people are lemmings you can lead to cry for the privilege of being governed harder. So that’s what prohibitionists do. It turns out one side simply wants to exercise liberty (open a brewery), while the opponents want to violate the first side’s liberty for “reasons”. The reasons include religion, fear of negative consequences of letting people control their own lives, and prohibitionism. One side is an ideology, the other isn’t. Liberty isn’t an ideology. It is the acceptance of the reality of self-ownership. From this acceptance flows certain principles. It doesn’t matter to the existence of liberty whether people accept it or not– it just is, to be respected or violated. Yes, there will be consequences for exercising liberty. Everything has consequences. But slavery’s consequences are worse than liberty’s. And you’re the bad guy when you choose slavery over liberty, no matter what “reasons” you come up with. This is why governing others is never a valid form of interpersonal interaction. It allows people to violate the liberty of others too easily, and without the risk which should come along with such anti-social behavior. How much of what you want government to do is based on your emotions? On your feelings about what you wish other people would do or believe they should do, and your willingness to use government violence to make it happen? If it’s more than “none” it’s too much. Fortunately, he’s not quite right. 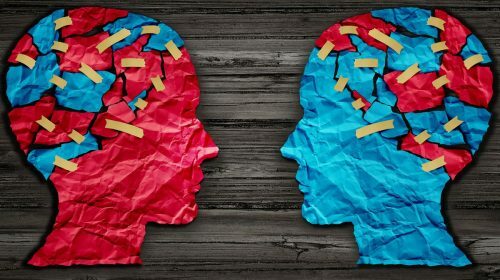 Libertarians are not less emotional, but — at our best — we are less controlled by our emotions. I can hate drug abuse and still understand I have no right to use government violence to impose drug prohibition. As long as I don’t let emotion overpower reason I won’t advocate harming someone who isn’t violating anyone’s life, liberty, or property. Libertarians know a crime requires the intent to harm. An accident might result in the same harm as a crime would, but without an intention to violate someone there is no crime. Emotions triggered by the event might try to steer us along a different path, but it would be a wrong path. A debt is often created by an accident, but again, a debt isn’t a crime. To confuse these things creates tragedy for individuals and sickness in society. He’s also wrong about libertarians caring less about people. I care about people very much. This is why I don’t accept any justification for violating them. How can staunchly respecting people’s natural human rights be mistaken for not caring? It’s not “caring” to use taxation to steal from some in order to fund government programs that keep people impoverished. It’s not caring to force people to live as you believe they should. So would I support government if only libertarians, with their superior ability to reason, were in charge? Not at all. Even those who are better able to reason have no right to govern anyone but themselves. No matter how well a person can reason through data, they can never know all the circumstances of everyone else’s life as thoroughly as each individual can know their own life. 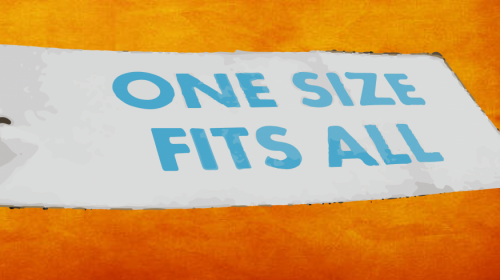 There is no “one-size-fits-all” way to feed a family, dress, or live … or to govern. It’s foolish to pretend otherwise. The issue comes down to whether the individual is viewed as a private person or as public property: the former has no obligation to the community to be or stay healthy; the latter does. Virtually everything the Founding Fathers sought to achieve by separating church and state has been undone by the apostles of modern medicine, whose zeal for creating a therapeutic state has remained unopposed by politicians, priests, professionals, journalists, civil libertarians, and the public. Many people have legitimate complaints against the Food and Drug Administration. For example, during its long history, the FDA has delayed the marketing of badly needed drugs and medical devices, leading to unnecessary pain and death. Excessive bureaucratic requirements for testing have made drugs more expensive than they would have been otherwise. And, as I’ve detailed elsewhere, its regulation of tobacco and nicotine interferes with people’s enjoyment of those products. I want to suggest, however, such isolated complaints fail to go to the heart of the matter. The problem is not this or that regulation. Nor is the problem even the FDA itself. The root problem is the government’s claim to jurisdiction over so-called “public health.” In the United States, once Congress assumed this power and created myriad regulatory agencies to exercise it, the door was opened to the kinds of mischief that Thomas Szasz (1920-2012) placed under the label “the Therapeutic State.” All manner of interference with individual freedom can be and has been presented in the name of safeguarding public health. It’s a Pandora’s box. 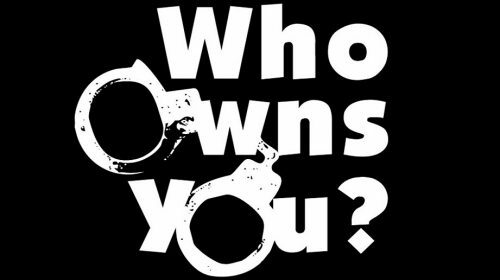 The ultimate question is: who owns you? The answer will determine who is to be in charge of health. The courts have routinely affirmed that the government has a “substantial interest” in the “health, safety, and welfare of its citizens.” In other words, citizens are public property. It’s time that this currently uncontroversial premise was questioned. The modern state’s “substantial interest” in the physical and mental welfare of its citizens is an echo of the pre-liberal era, when the sovereign was seen in part as the father and custodian of the physical and spiritual welfare of his subjects. Paternalism served the interests of the sovereign, of course: he needed healthy taxpayers and soldiers. But the relationship was bigger than that. It is in this light that we should view the FDA and other government medical and scientific entities. They are part of a massive apparatus of social control, making their personnel agents of social control, not truth-seeking. Whether the FDA, for example, is a friend of industry or an adversary (at different times it’s been both), the public is ill-served precisely because the right of individual self-determination in a free market, including tort- and fraud-redress procedures, is undermined by prohibitions and restrictions. It is also ill-served by the monopolistic effects of centralized political authority over science and medicine. (On the FDA’s growth, see this.) Free competition is the universal solvent because facts emerge through rivalrous activity, both economic and intellectual. Many people don’t see things that way, of course, and so government has increasingly controlled people’s choices with respect to health and science. On the basis of the fiction that the free market has failed in these realms — when has it actually been tried? — politicians, bureaucrats, and deputized practitioners have gained power. A gain in political power, Albert Jay Nock taught us, necessarily means a loss in “social power,” that is, self-control by individuals and their voluntary associations (including families). If self-control is denied in one area of life, we should not be surprised to see it fade from other areas of life. Today, the battle cry is “Medicare for all!” But if “the public” (the state) is to pay for everyone’s medical care collectively, won’t the public’s putative representatives want to impose restrictions on individuals’ risky behavior if for no other reason than to minimize the hit to the government’s budget? What then becomes of what’s left of individual freedom? We know how the “public health” lobby views the matter. When it panics over how much smokers “cost the economy” in lost productivity (through sick days and shorter lives), the lobby is proclaiming that Americans are indeed public property. How dare they enjoy themselves and risk their health at the expense of the economy, the people, the nation? (The Nazis and Bolsheviks followed this idea all the way.) In contrast, quaint classical liberals believe “the economy” — that is, the institutional framework for free exchange — exists to serve people. When the “public health” lobby advocates coercion for a person’s own good, in reality it does not speak of treatment and cure but of assault and battery — and perhaps torture. A medical relationship without consent is like a sexual relationship without consent. But few people understand that. Perhaps sensing the flaw in the case for coercion based on preventing harm to self, much medical coercion is offered in the name of protecting others. There is a grain of truth here, of course. People can carry deadly communicable diseases. (Whether the state’s centralized bureaucracy is needed or competent to deal with this is another question.) But as the public-choice thinkers point out, state officials won’t be satisfied with such a narrow mission as protecting people from such diseases. Public-health jobs will tend to attract people dedicated to reforming other people’s “vices.” Inevitably, they will push the boundaries to acquire more power, money, staff, and prestige — all dedicated to breaking our “bad habits.” The alleged threat from second-hand smoke is in no way analogous to the immediate threat from a communicable disease. The former can easily be dealt with through contract and other voluntary arrangements but that doesn’t stop the public-health zealots from working to outlaw smoking in bars, restaurants, and even tobacco shops. But what about the children? In a free society, families are responsible for raising children to be autonomous adults. Of course, this does not always happen, part of the reason being the government’s own obstacles, such as rotten schools for low-income kids. At any rate, history makes clear that government crusades, say to keep adolescents from doing “adult” things — such as drinking, smoking, and now vaping — only adds to their allure and has horrendous unintended consequences. Fruit is harder to resist when it is forbidden. Meanwhile, adults find themselves harassed — in the name of protecting the children — as they go about enjoying themselves. Would life be perfect if “public health” were left to free and consenting adults in the free market? No, of course not. But a real-world free society should not be compared to an unreal and unrealizable utopia of all-wise, all-knowing, and all-good “public servants” who have only your health and welfare in mind. Rather, it should be compared to the real world of fallible, morally flawed, egotistical, self-serving, and centralized politicians and bureaucrats whose worldview is one where they give orders and you obey. Markets — which is to say, people in both profit-seeking and non-profit capacities — are capable of producing reliable consumer information and guidance, not to mention certifying the quality of products. They do it every day. Governments, after all, are comprised of nothing but human beings. Early one morning last December, Jeff Gracik was heading to his southern California home garage-workshop where he makes his living when he heard a loud, hurried knock on his front door. Thinking it might be a rushed UPS driver, he quickly opened the door. But it wasn’t UPS. Standing on his doorstep were three badge-flashing inspectors from the U.S. Food and Drug Administration. They had come to inspect Jeff’s business. Just what is Jeff’s business? Does he produce food? No. Does he produce drugs? No again. So why the unannounced visit by FDA inspectors? Jeff makes pipes for tobacco pipe smokers. He doesn’t make tobacco, mind you, which (alas) Congress empowered the FDA to control, but pipes, most of which are made from wood (most commonly briar, but other varieties too), materials such as acrylic and vulcanized rubber for the mouthpieces, and wood stains, which Jeff buys but does not make. You may find it odd that the FDA chooses not to regulate lighters, matches, ashtrays, humidors, and the like, but it has its reason: it deems such things to be accessories, not components and parts. Accessories, the FDA says, “do not contain tobacco, are not derived from tobacco, and do not affect or alter the performance, composition, constituents, or characteristics of a tobacco product.” Since pipes do those things, they are deemed regulated components rather than unregulated accessories. Who knew the FDA personnel had the wisdom to make such fine distinctions? The word including would seem to limit the covered components, parts, and accessories to things “made or derived from tobacco,” of which the briar root Jeff Gracik uses is not an example. Briar comes from the root of the flowering plant called Erica Arborea, or tree heath. To reinforce my point, note that the word pipe appears in the TCA only as a qualifier for the word tobacco. The statute’s authors wanted to assure that tobacco is understood to include pipe tobacco and not just cigars and cigarettes. But the legislation contains not one single reference to pipes per se. So Congress apparently did not intend to authorize the FDA to control anything other than tobacco or things derived from it, even things that are likely to be used to consume tobacco. But no matter. The FDA has assumed the power to deem non-A to be A. Logic and common sense be damned. At any rate, three FDA inspectors (two of them trainees) turned up unannounced at Jeff Gracik’s door to say that they had the authority under the TCA to enter his premises — right then — and inspect his home workshop. Actually, he had “consented” to inspections once every two years when he registered with the FDA as a pipe maker. Jeff had learned earlier that under the law, retailers could not sell his pipes unless he was registered, so he allowed a retailer to register him, saving him the trouble of doing the paperwork himself. He had no choice: he earns his living as a full-time pipe maker and wants to keep doing so. Jeff, who is 39, started making pipes in 2003. 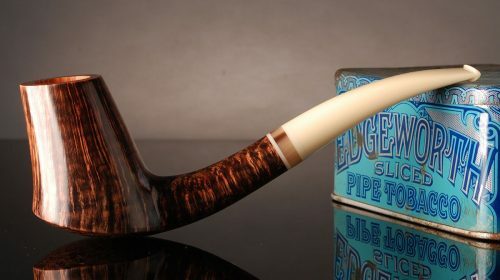 He sold his first one a year later and has since built a sterling reputation among pipe collectors. He makes 100 to 125 pipes a year — which sell for $800 to $3,000 apiece — under the name J. Alan Pipes. Jeff is an artisan; he makes pipes one at a time by hand. Each is unique, a thing of beauty, a dazzling collaboration of nature and human being. He and brother Jeremy have a second, lower-priced line of partially machine-made pipes under the name Alan Brothers. That was just the beginning. “They had me demonstrate how to make a pipe. So I had to take a block of briar and chuck it in my lathe…. And as the day went on, they became more and more interested in what I was doing.” He said some of their questions suggested they were interested in the potential toxicity of materials and ingredient, but that’s as far as that went. They tested no materials or stains and took no sample with them. Jeff was not told to submit anything for approval. The visit lasted six and a half hours, as if this small businessman had nothing better to do than entertain a group of FDA inspectors. “I got nothing done that day,” he said. “They wanted to see written procedures,” he explained. “How do you do A to Z?” He told them that as a craftsman and unlike a factory, he has no written procedures. As the hours went by he sensed he was almost gaining sympathy from the inspectors. For the record, the TCA states that regulations “shall not impose requirements unduly burdensome to a tobacco product manufacturer or importer, taking into account the cost of complying with such requirements and the need for the protection of the public health ….” Decide for yourself if the FDA obeys that prohibition. The pipe makers certainly could use a trade association to protect them. But Gracik says they are, unsurprisingly, individualists and so discussions about forming an association have gotten nowhere. So the FDA harasses — even if it’s with a smile — small-scale artisans who scratch out livings working by hand with wood and other harmless materials. To what end? It’s all part of a larger puritanical campaign to harass peaceful Americans who enjoy consuming tobacco via cigarettes, cigars, pipes, and smokeless tobacco and using non-tobacco nicotine e-cigarettes. “Nothing so needs reforming as other people’s habits,” Mark Twain said. Using tobacco is not risk-free, of course, but most things in life are not risk-free. In the real world, risk can be managed and minimized but never eliminated, and in a free society, individuals have the right to decide for themselves how to go about doing it. If you don’t watch “the news” you might be uninformed; if you watch it you will be misinformed. “News” is opinion. There’s no such thing as just presenting the facts; there never was. There’s always going to be a slant to it. It’s almost always a statist slant. If they don’t honestly portray cops as a gang, politicians as thieving thugs, government as religion, “laws” as slavery, they are not telling the truth. They are opinionizing. Lying. Covering up the truth to protect the bad guys. Any bland “news” story about the “arrest” of a drug dealer, and the drugs, cash, and guns confiscated from him, is a nest of lies– opinions, if I were to be nice about it. It will assume statism. It will assume the legitimacy of prohibition, “taxation”, government police, “gun control” [sic], “laws”, the “justice system”, and a hundred other things which shouldn’t be assumed. They are selling their opinion to people who mostly agree with them (even when they feel they are on the other side), or who they are trying to fool into agreeing with them. It largely works. I think that’s why you see “Right” vs “Left” in almost all “news”/opinions. All “news” comes from one side or the other… yet the sides are really the same. They are statist, anti-liberty bigots to the core. So the “news” gets people to arguing over which of those identical twins is correct, when they are both wrong. Statists live in a statist bubble, even if they sample statist opinions from the “other side”. It’s still only statism. Libertarians don’t have the option of living in a bubble. We get exposed to the other sides. All other sides. Constantly. Whether we intend to or not. It’s unavoidable. That’s why we are better informed than the uninformed or the misinformed statists. And it’s why the statists try so hard to ridicule our position. They have to, otherwise they might realize they are losers going in circles, chasing hallucinations.